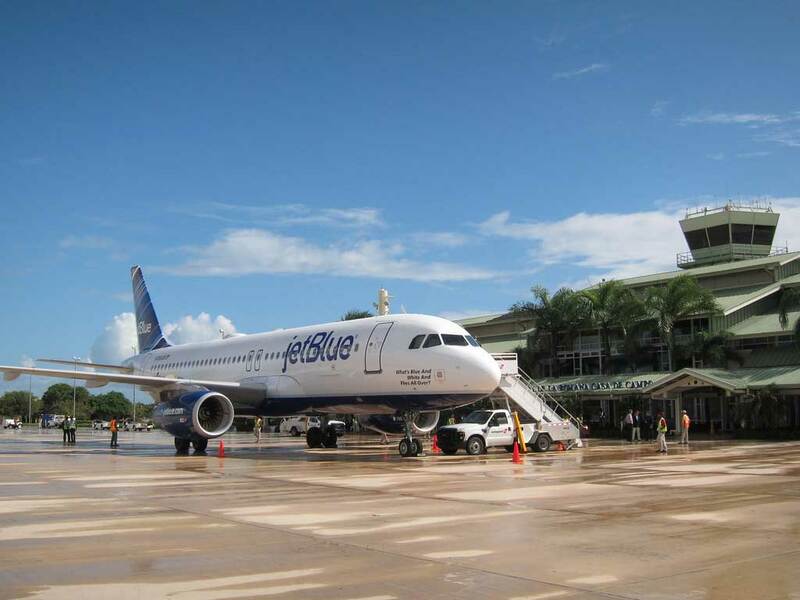 La Romana International Airport, Casa de Campo, is strategically located in the southeast coast of the Dominican Republic, servicing the fastest growing provinces for business and leisure of the country. La Romana International Airport, Casa de Campo, serves as the gateway to the most acclaimed tourist destinations of the nation. The airport has road access, within two hours, to all major tourist destinations of “The East”, La Romana, Casa de Campo, Bayahibe, Dominicus, Punta Cana, Bavaro, Uvero Alto, Macao, Juan Dolio, Boca Chica and Santo Domingo, among others. During summer of 1998, Central Romana Corporation, Ltd., began the construction of La Romana International Airport Casa de Campo. The company, through its subsidiary, Airport Management Services, Ltd., inaugurated the airport on December 14th, 2000, at an approximate cost of over 100 million Dollars. The new international airport is a tropical modern airport, reminiscent of a sugarcane mill, the principal agro industrial product manufactured on the eastern planes of the Dominican Republic. Central Romana Corporation, Ltd., and its subsidiaries were one of the pioneers of the development of tourism in the Dominican Republic. 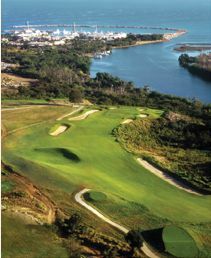 All started with the construction and operation of the famous tourist complex Casa de Campo, located in the city of La Romana, which has modern golf courses, beaches, marine activities, tennis, equestrian sports, shooting facilities, shops, restaurants and many other features. It also owns Hotel Santo Domingo, operating in the city of Santo Domingo, along with other all-inclusive facilities located in the eastern region of the country. Since the early 1970´s, the company owned and operated a small airport (LRM) located within the limits of Hotel Casa de Campo, in La Romana. The airport was used almost exclusively by American Airlines, American Eagle and for non-commercial private operations. Arrivals and departures of Hotel Casa de Campo’s airport exceeded the capacity of its design, not only because of the expansion derived from the integration of the company’s airport and its tourism infrastructure, but the considerable investment from local and foreign Hotel operators in facilities along the southeastern part of the country. The new La Romana International Airport Casa de Campo consists of a runway and two operational ramps. The main one, dedicated to commercial aircraft operations, has the capacity to cater six wide body aircraft operations at once; the second, is used exclusively for domestic and international general aviation aircraft. Airport operation services are available 24/7, with the ability to provide weather information, fuel, passenger handling, catering services as well as a full scale fire; rescue team. Three terminal buildings are used to host the Airport’s passengers and the needs of airliners’ crews; a large commercial terminal, an international general aviation terminal, which operate completely separate from each other.